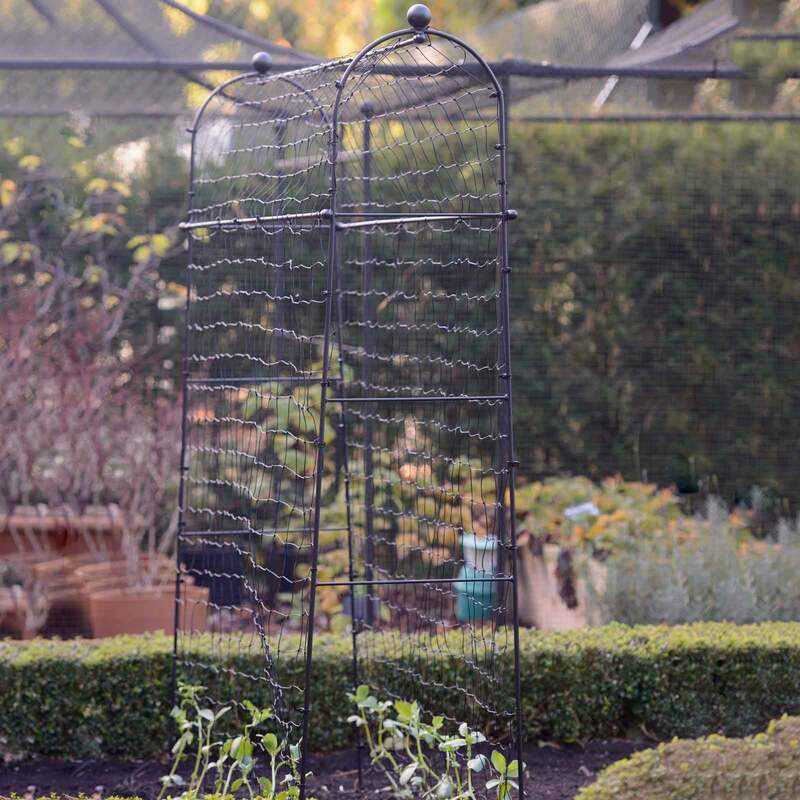 This runner bean frame is both beautiful and practical with solid steel arches and steel cross struts to support the heaviest crop. Each pole is coated in a rust resistant protective sage green coating. Measurements: 2m (6'6) Height; 2m (6'6) Length; 0.18m (7) Depth.PLEASE NOTE: A postage surcharge per item ordered is applicable. Sturdy, fully galvanised steel structure with a high quality powder coated finish. 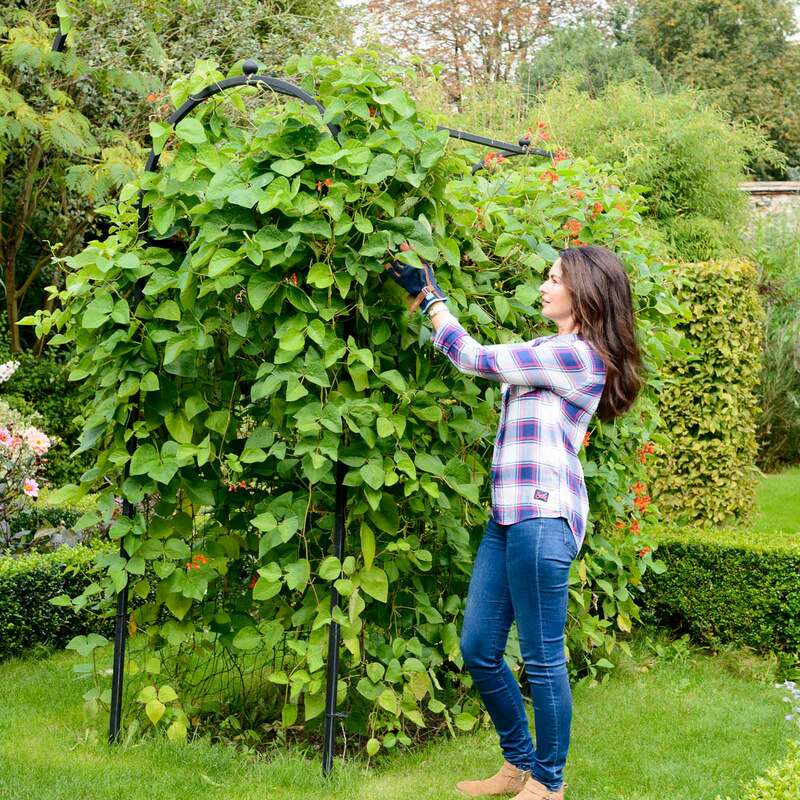 Easy to assemble and disassemble for winter storage, the Big Ben Bean Frame only requires 40cm2 of bed space and is perfect for climbing beans, sweet peas, cucumbers, gourds, squashes and melons. L40cm x W40cm x H240cm Self-assembly required. Strong and secure, yet simple to erect. 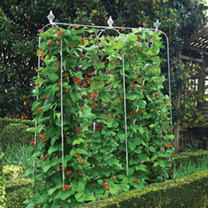 The bean frame, has room for 24 well spaced plants and comes complete with growing net and fixings. Add an extension to feed the rest of the family! Made from galvanised steel with a black polymer coating. Frame H1.8m x L3m x D1m Extension H1.8m x L3m x D1m Self-assembly required.